Got gray hairs? It happens, but now you no longer have to douse your head in chemicals. 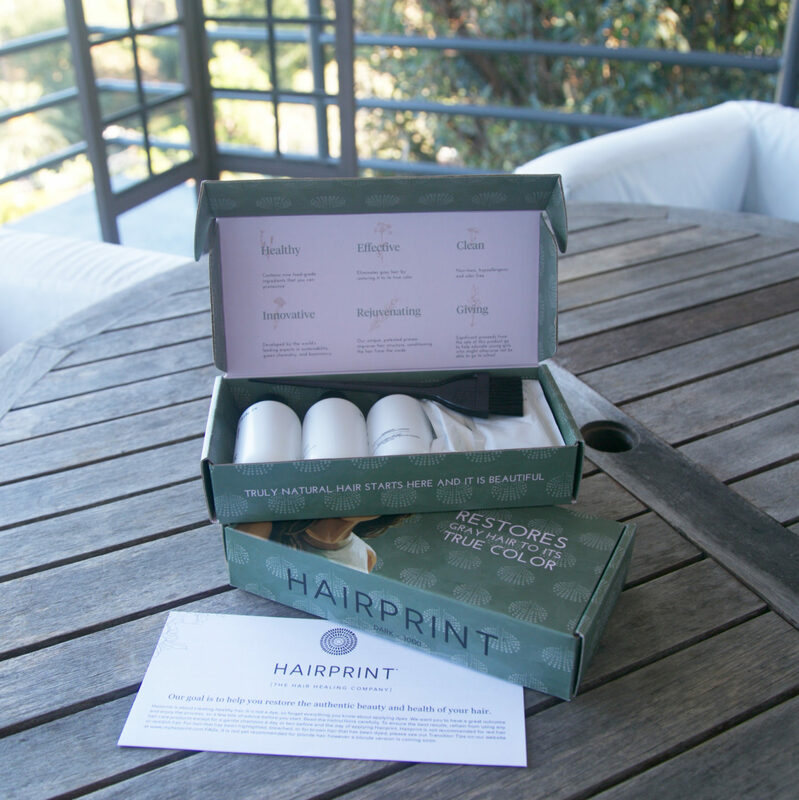 Hairprint is fairly new to market and offers a non-toxic solution for eliminating gray hairs. It works naturally to restore your hair to it’s true color. I have tried it and there are no fumes at all! You can even eat it if you desire. I did spot a few grays afterwards, but I think over time they will all be gone and I will have healthier looking hair. I would suggest seeking out a salon that can do it for you as it is messy and a bit frustrating if you aren’t a seasoned at-home hair dyer. Find out more on the Hairprint site. I chose to go all natural with Hairprint, a hair dye alternative. All opinions expressed are my own and not influenced in any way.